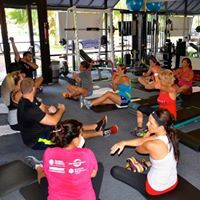 Winter Park's Premier Personal Training Center since 1988. Workout 32789 is a boutique fitness studio. 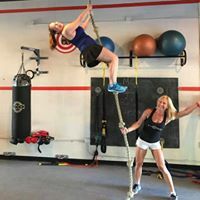 As one of our clients, we strive to take you to YOUR next level and create maximum IMPACT in your life, because we recognize that fitness is not a "one size fits all" experience! We have no upfront fees, longterm contracts, and depend solely on client satisfaction. One on one coaching for toning, strength, cardiovascular conditioning, coordination, balance and sport-specific goals. Traditional circuit training in the gym. Group Co-ed, women-only, and men-only sessions are offered. Integrates balance, full body strength, core strength, stability, agility, aerobic and anaerobic conditioning, and flexibility. A personalized focus on activities you can do to get out of your comfort zone and challenge yourself to be pushed to the next level. Aerial Yoga is Yoga done using a hammock that is suspended from the ceiling. The hammock provides extra support for traditional poses while giving you more freedom of movement that can result in a more fulfilling stretch than traditional yoga. Its also great for stress relief, strengthening muscles, better focus and is a much needed compliment to any other fitness routine! No previous Aerial, acrobatic or yoga experience is necessary. We offer smaller more intimate classes to give you a more personal experience. We now have two reformers in our Pilates room! You are able to book a double session with a friend, partner, or spouse. 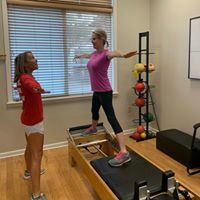 Our mother daughter duo shown above, post pregnancy and hip surgery enjoy doing Pilates together.